Every product in this special edition range is made for the dog and owner who appreciates premium hardware and expert craftsmanship. In addition to all the benefits of the Standard EzyDog products, the Denim products come equipped with custom leather patches, jean studs, brass hardware and of course, a high grade denim finish. 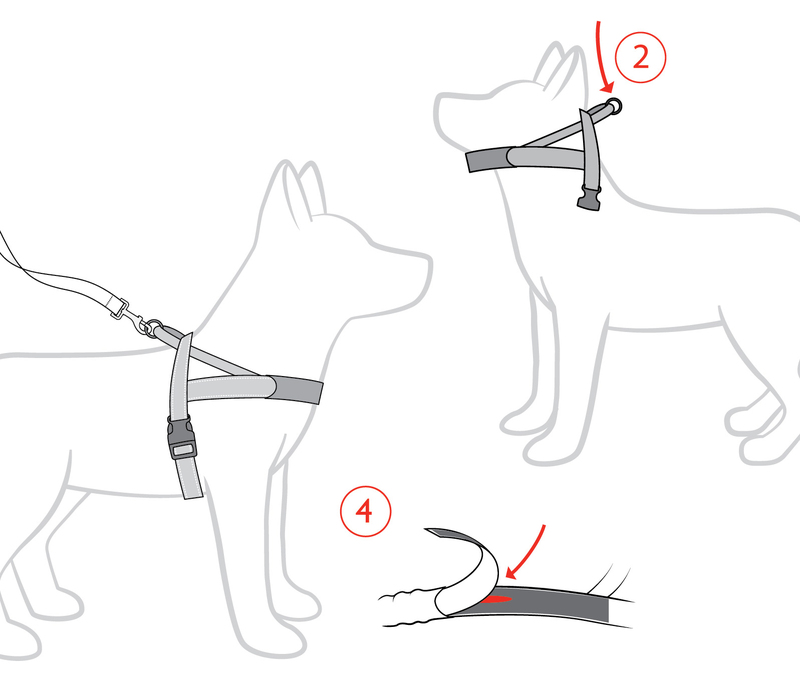 This Dog Harness really is as simple to fit as a collar, but it has also been designed to be comfortable on your dog. Soft neoprene is placed against your dog's chest and our EzyDog soft touch webbing is used in all other contact areas. It has also been meticulously constructed to minimise any pinching or chafing, meaning your furry friend will actually look forward to putting it on! Because the Quick Fit effectively reduces the need for a dog collar, we have included an ID tag holder on the harness. When going on an outside adventure with your dog, the last thing you want is their harness to slow you down. Don't waste time and energy trying to manoeuvre them into an uncomfortable, complicated harness - just click them into the Quick Fit Harness and start enjoying the great outdoors together with no limits! "This harness is terrific. Our blue boy, Winston, out grew his previous Ezy harness, so we upgraded to the stylish denim version. Easy to put on and take off, he looks very handsome and receives compliments when he wears it." "Love this product, my dogs only use Ezy off, it's well made and good quality. Simple returns also. Thanks "